What an incredible 2018 wedding season. 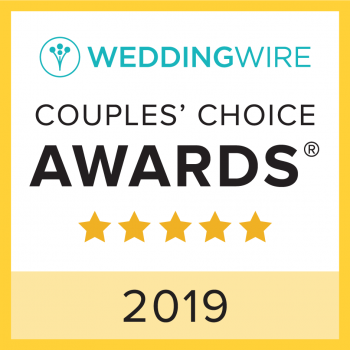 Three years running we have been awarded the WeddingWire Couples Choice Award! A sincere thank you to all of our wonderful couples and their families who make this possible. Special thanks to those who took the time to leave us a review . Ruth and I are honored not only to have been such an essential part of your big day, but also humbled to have had the opportunity to meet each and every one of you. It’s an amazing feeling to be able to do what you love. We are ready for you 2019 – We did it, and can’t wait to do it again!